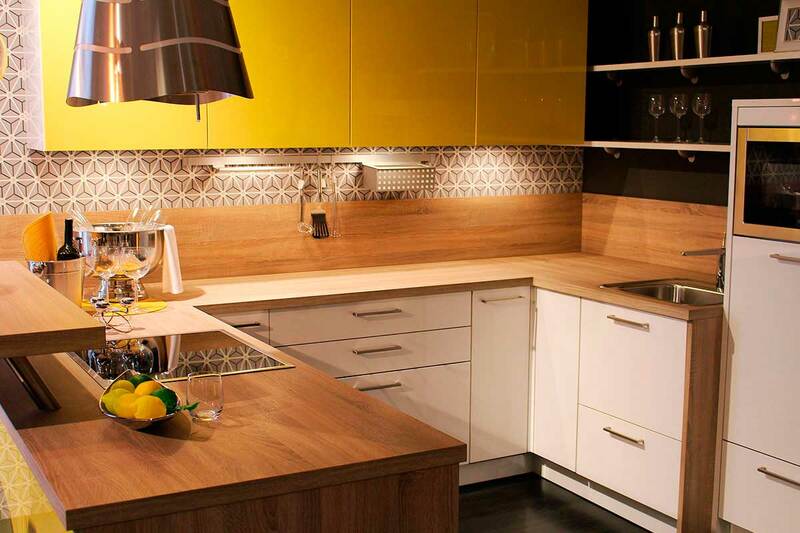 Kitchen backsplashes need to be safe and practical, but you’re definitely not limited when it comes to material choices. 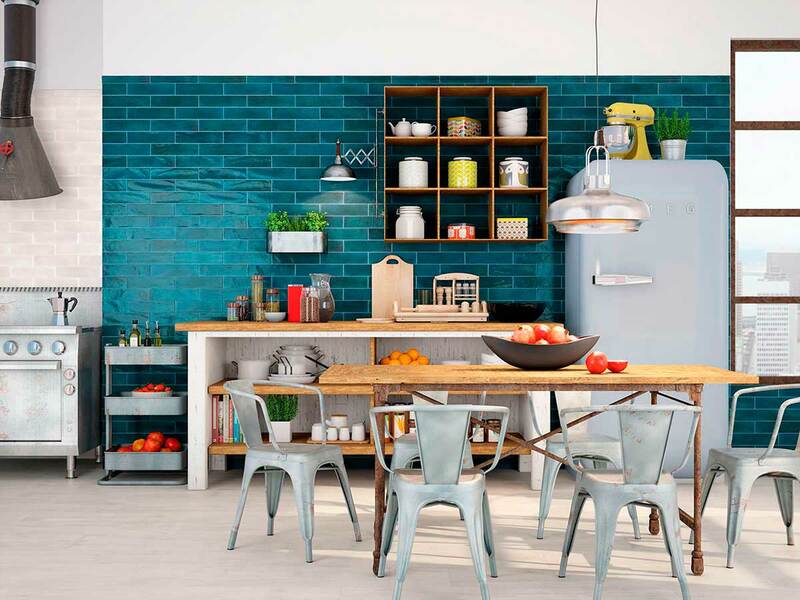 Use colourful tiles and playful shapes to make your kitchen a unique space. 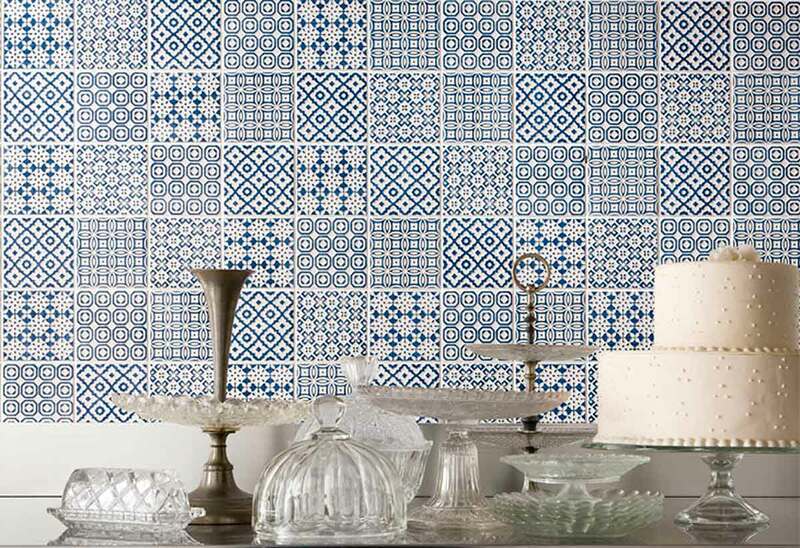 These batik-inspired tiles let you infuse your space with a hint of Asian heritage. They’re modern and classic all at once, and you can create wildly different styles just by tweaking the arrangement, finish or hue. This unique green hue makes the walls look like they’ve been clad with jade, and the subtle patterns make your cooking space more dynamic. 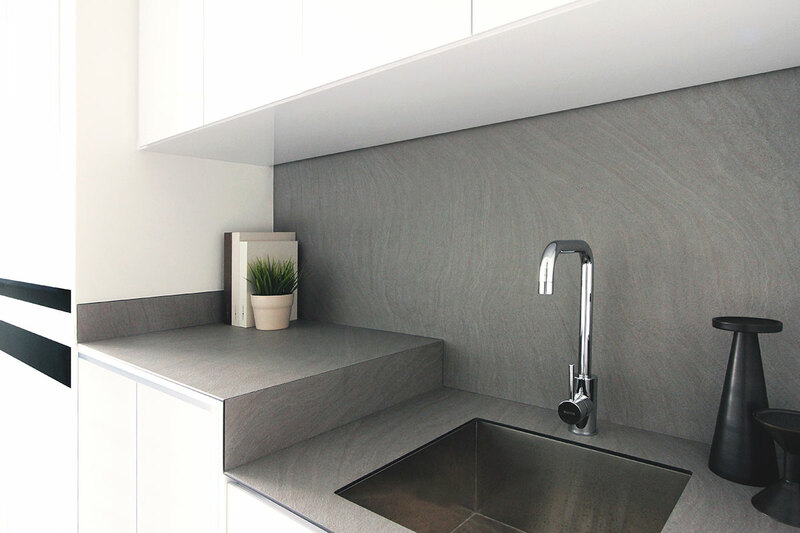 You won’t have to worry about grout lines as these panels are cut from large sheets to fit your kitchen’s measurements. They’re waterproof, preventing leakage or bubbling even when fitted over plumbing. These can also be installed over existing tiles, saving cost and renovation time. What’s more this durable material is able to mimic the look of materials, from wood to marble, all without the steep cost. These petite pieces are great for adding character, but you’ll have to deal with grout lines, which make your backsplash more troublesome to clean. Depending on the look you’re going for, you can contrast the grout sharply with the tile, but picking a similar shade is more forgiving and creates a more cohesive look. One way to add interest to your cooking zone is to arrange tiny tiles in a tilted manner, making you space a bit less conventional. Better than just laying tempered glass over your wall, printed glass lets you customise your backsplash with any image you want. Singapore Safety Glass and New Glass Singapore offer this service locally. 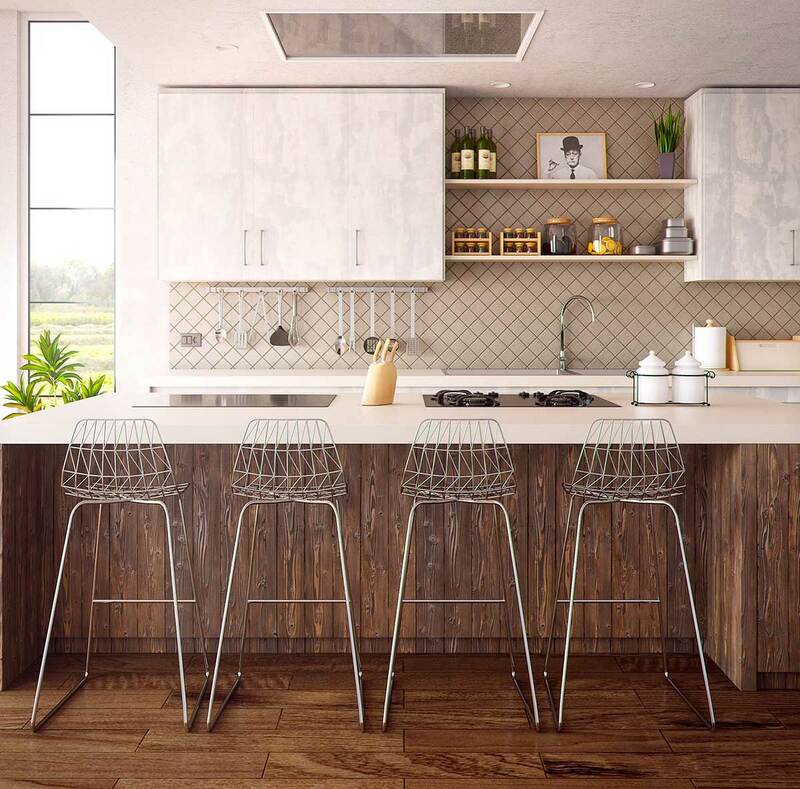 Wood, cork and bamboo may add cosiness to the kitchen, but like concrete, they’re porous and might develop patchiness from splashes. Protect them with a good seal, which should be updated every few years, or opt for patterned tiles instead. 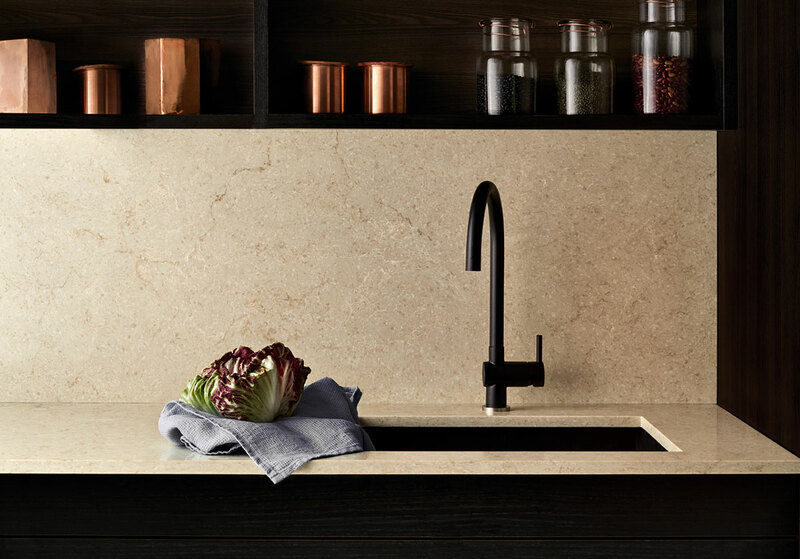 Engineered stone surfaces boast several good qualities. Besides being non-porous, they’re scratch-, mould-, stain-, crack-, and heat-resistant. They’re also available in a wide variety of designs from marble to concrete. This beautiful cream-toned surface will go well with most themes. Applying stick-on designs is one of the few ways you can spice up your kitchen without doling out heaps of cash for professional help. They’re easy to clean, cover flaws, and you can adjust or remove them anytime. Before purchasing, check that they are heat- and water-resistant, or enquire with the manufacturer when in doubt. 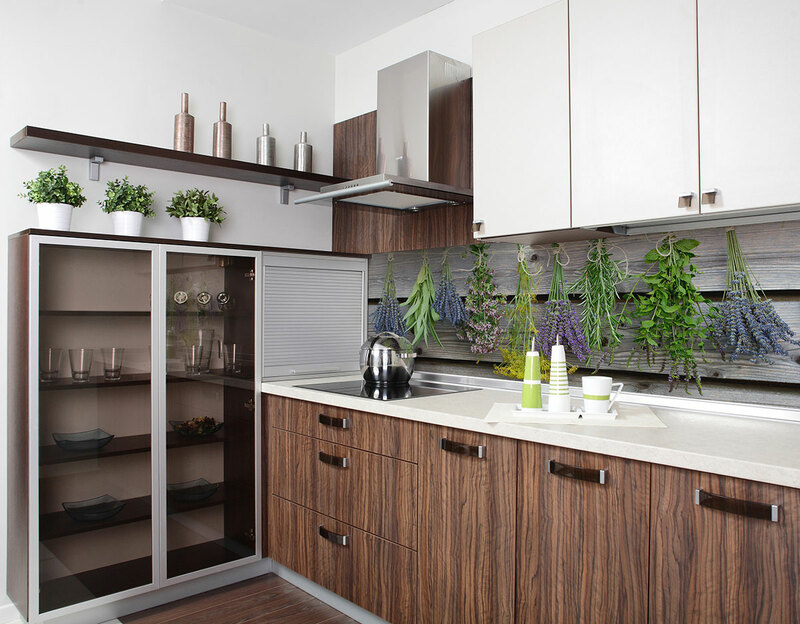 Infuse your kitchen with a generous dose of greenery. This semi-glossy design is mounted on a fleece backing that offers heat insulation for the wall and prevents moisture from getting trapped. 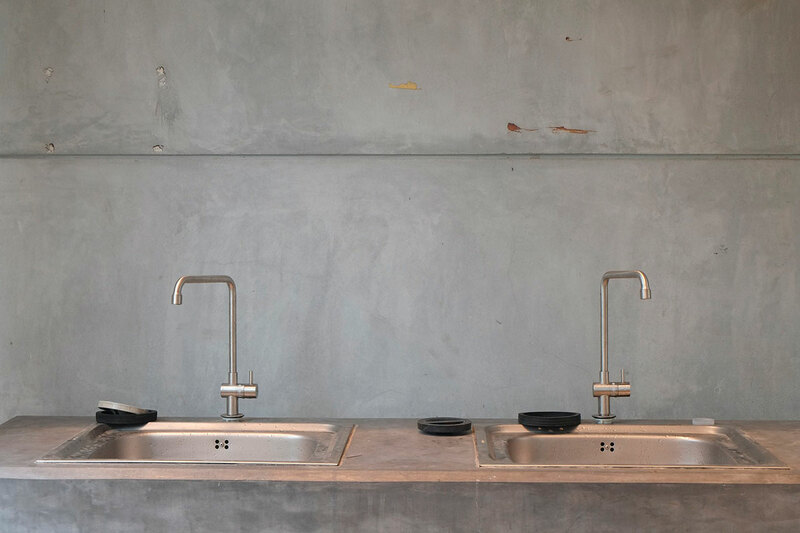 Concrete can look edgy and chic, but it’s porous, making it susceptible to staining and odour retention. To prevent this, ask your contractor to seal the surface. No more struggling to flip your cookbook or getting splashes on its pages. 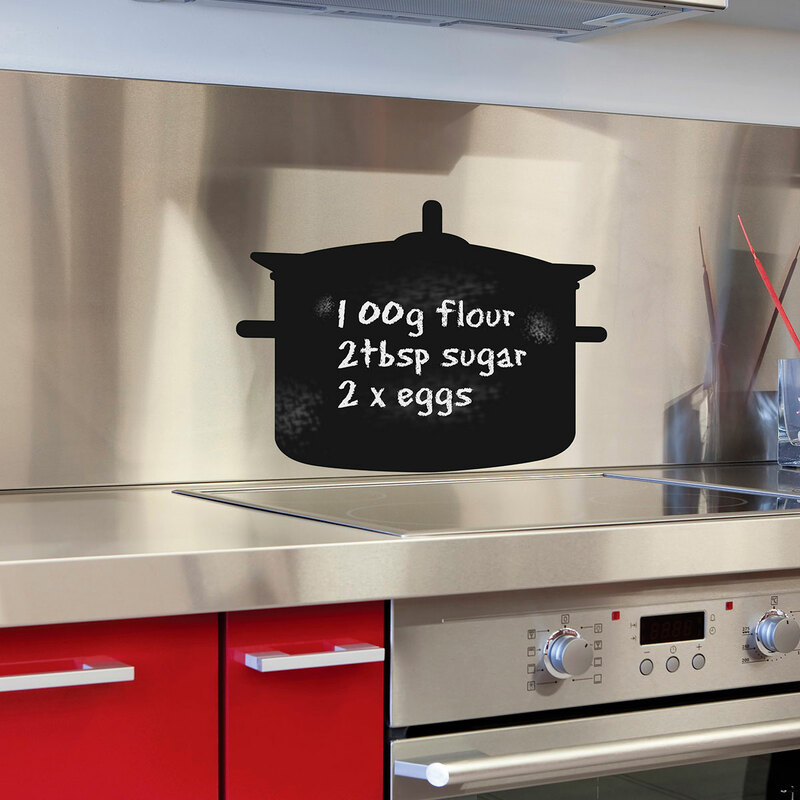 Write recipe pointers on this pot-shaped silhouette, then wipe it off afterwards. That’s your kitchen clean-up done, too. This was adapted from an article originally written by Yuen Yi Ying in the June issue of SquareRooms.